Offshore wind farm development and operation are by nature more challenging than onshore, with additional environmental parameters to control and design for. More than 12 years ago, floating LiDAR (lidar) devices were introduced to the offshore wind industry – to meet a specific market need. 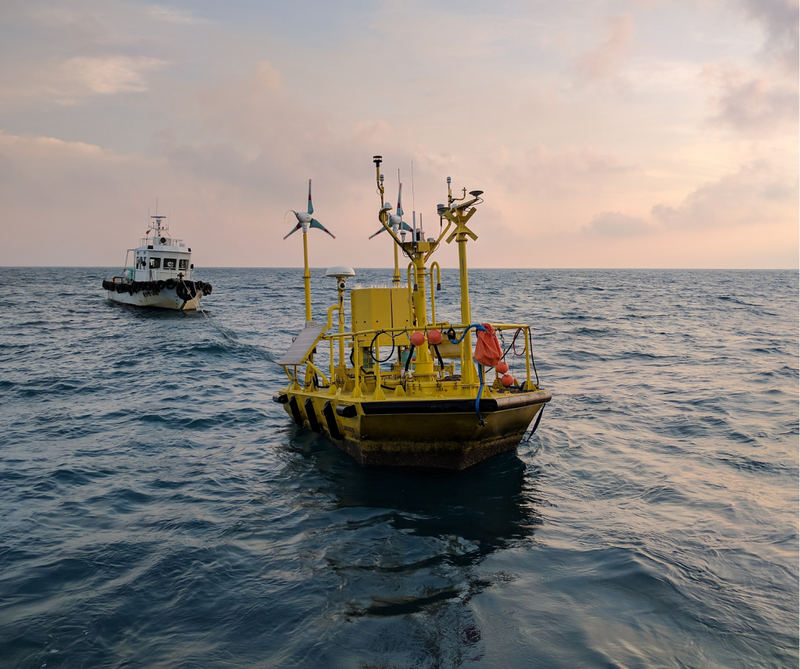 Developers in the growing, but not yet mature, offshore wind market needed an easy way to gather wind speed data without the huge expense involved using met masts in the complex marine environment. Floating lidar units have now become the technology of choice for offshore wind projects, savings millions of pounds, thanks to innovative developers, manufacturers and the support of the Carbon Trust’s Offshore Wind Accelerator programme which also delivered the Roadmap guidance for the adoption and use of floating lidars. Why use a floating lidar? 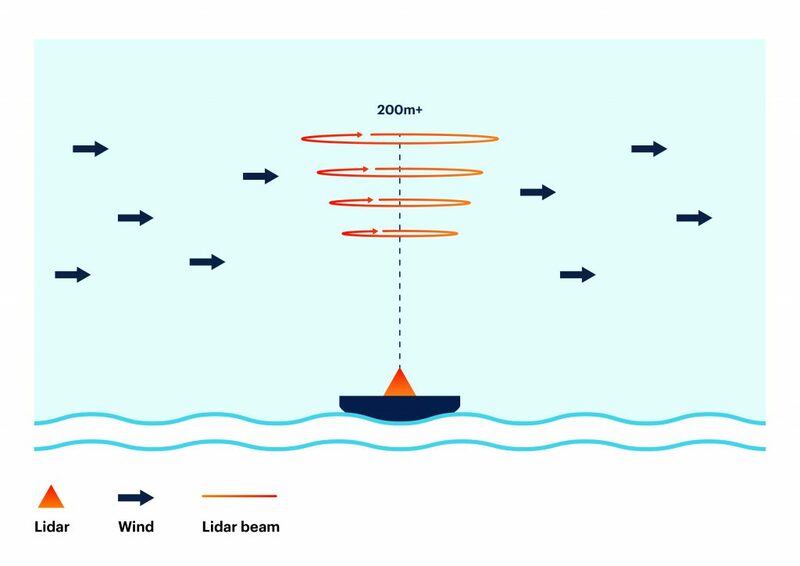 Floating lidar units take offshore wind measurements from a vertical profiling lidar, integrated onto a standalone floating structure, such as a buoy. The lidar unit collects a range of measurements, including the critical offshore wind data needed when financing offshore wind farms. The Carbon Trust recently announced the completion of the world’s largest trial of floating lidar systems. Over the course of the campaign, five systems were tested at six different sites across Europe. The trial revealed savings on offshore wind measurement campaigns of up to 90% are possible when using floating lidar, when compared to a typical investment of EUR 10 million for a met mast. However, these figures did not take into account the cost of decommissioning an offshore met mast, which could cost in the region of a further £5m. Furthermore, it takes two years to plan, consent and then construct a mast, under tight regulatory constraints. A typical lead time for buoy deployment at the project site from the start of the contract is around three months. Robust and accurate wind measurements are required for offshore wind resource assessment. Buoys typically exhibit translational (surge, sway and heave) and rotational motions (pitch, roll and yaw). All of these motions have the potential to adversely affect a lidar’s measurement of the wind vector. Continuous Wave (CW) wind lidars focus an infrared laser at a specified measurement height or range. Light scattered by aerosols returns to the lidar and is analysed to determine its ‘line-of-sight’ Doppler shift. A series of measurements at different positions are used to reconstruct the wind field. Since the laser in a CW lidar outputs a constant intensity, very high average powers are possible (>1 W), which results in exceptional sensitivity, and hence very fast measurement – typically 20 ms per data point, and one-second per scan. On a buoy, yaw will affect the wind direction measurement, whereas pitch and roll alter the laser line-of-sight and could cause a negative bias in wind speed measurement. Typical buoy motions have a period of several seconds, so the high measurement rate of CW lidars effectively ‘freezes’ the motion for each measurement point (50 Hz) and adequately samples the motion for each scan (1 Hz) making CW lidar measurements particularly robust in this application. Studies carried out at Christian Michelsen Research AS, Norway, confirmed this theory. Over an industry standard 10-minute averaging period, the effects were shown to average to zero and have no significant effect on measurement accuracy. In a recent study, ZX Lidars also conducted a wind speed verification analysis, where its floating ZX 300M lidar demonstrated excellent agreement with ORE Catapult’s 103m mast at the National Offshore Anemometry Hub, UK. ZX Lidars has operated offshore since 2005, deploying the first wind offshore lidar on both a fixed and floating platform. 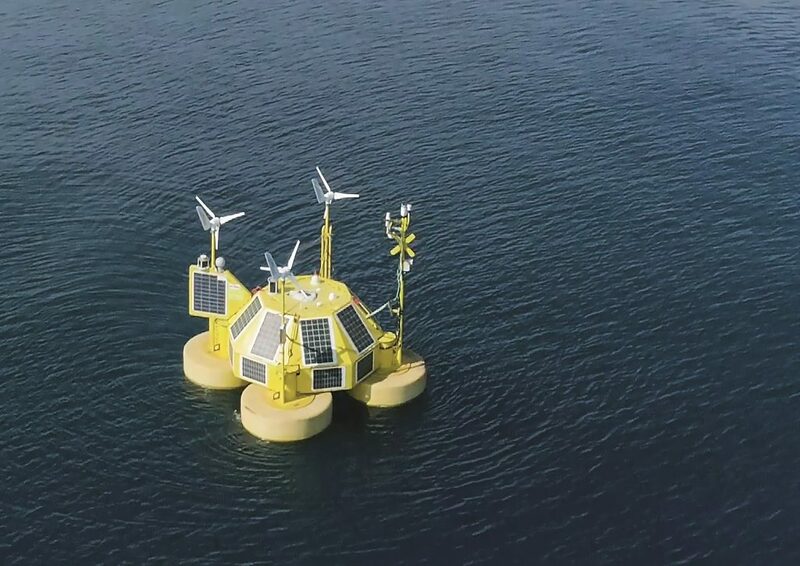 The market soon responded and set out the Carbon Trust Offshore Wind Accelerator roadmap to demonstrate and secure industry acceptance of both lidars and floating platforms, for use in wind resource assessments offshore. ZX Lidars now commands more than 90% of the offshore market. There are now approximately 12 floating platform manufacturers, the majority of which use ZX Lidars’ systems. Floating lidar systems have earned a place at the table in the offshore wind industry. 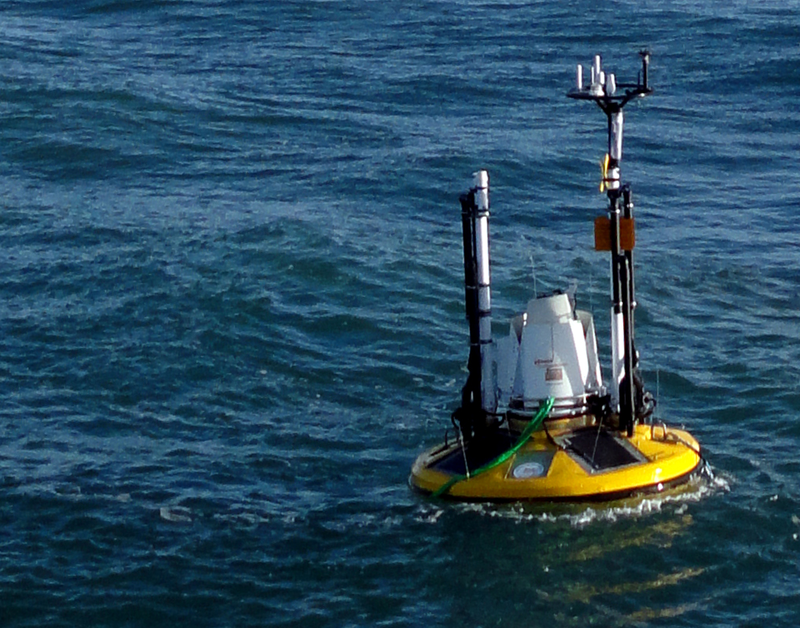 Systems such as the ZX 300M Continuous Wave (CW) Doppler lidar have demonstrated their ability for providing accurate and precise horizontal wind speeds and directions, while subject to typical motions experienced commercially available buoys. Through ZX Lidars’ many collaborations with floating platform manufacturers, the industry benefits by gaining hands-on experience of how lidar technology works, while gathering in-depth insights into the offshore wind profile and providing developers with substantial cost savings.